Promote your business wherever you go! 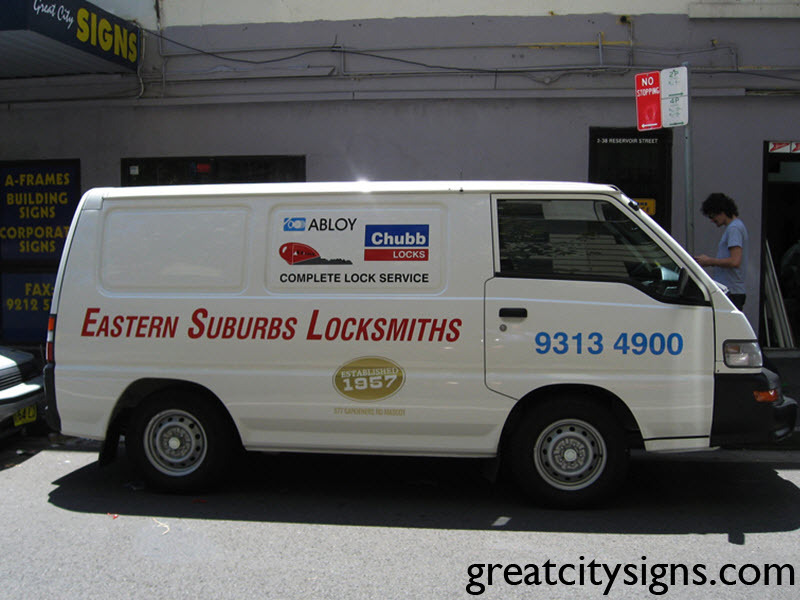 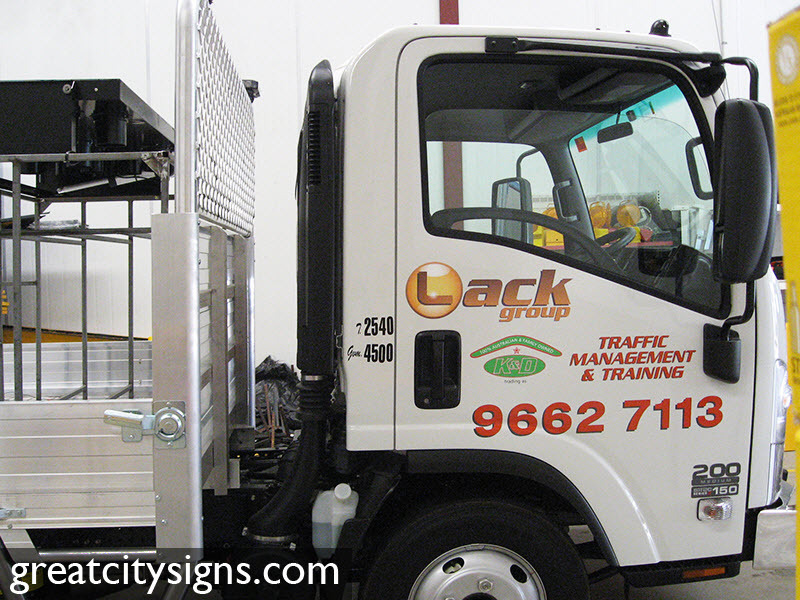 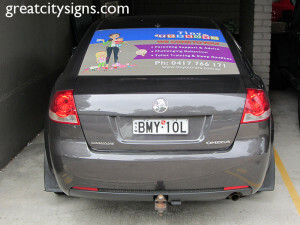 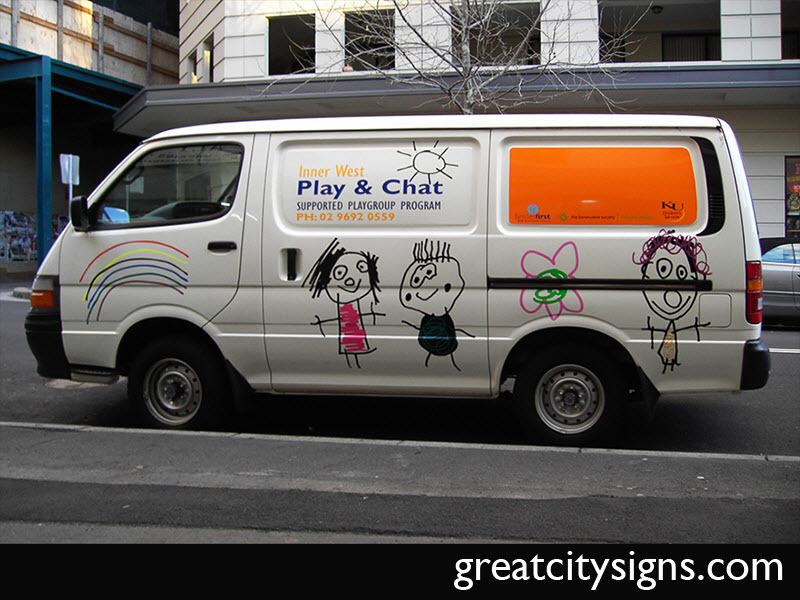 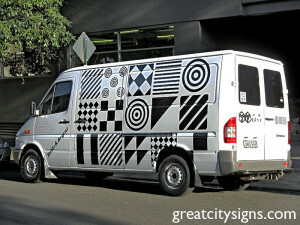 Turn your company’s vehicles into moving billboards with custom signage from Great City Signs. 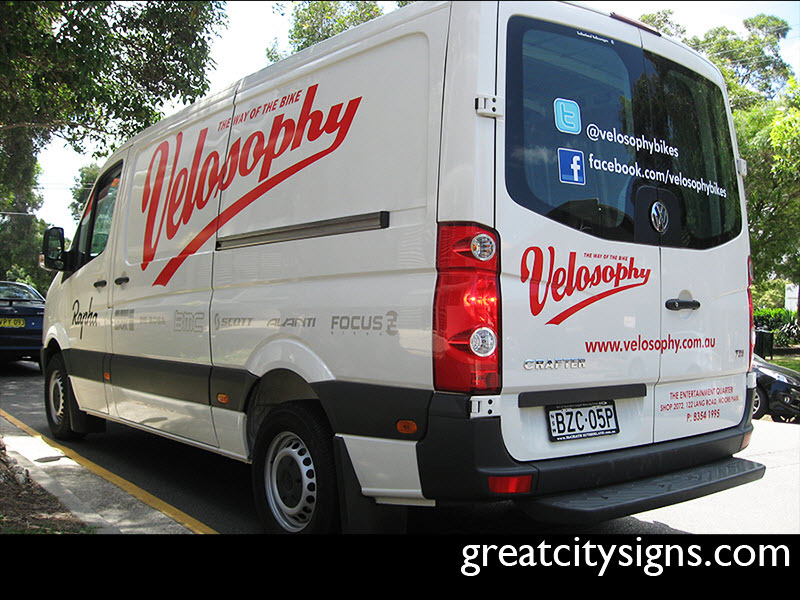 We offer all manner of printing and signage, from a simple name and number through to sophisticated full-colour, wrap-around graphics. 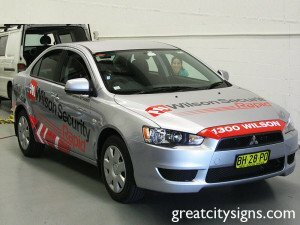 We offer a full service, including graphic design, printing and installation and can look after the entire process or simply one aspect of it. The choice is up to you! Our consultation service ensures the end product perfectly matches your needs – and your budget. 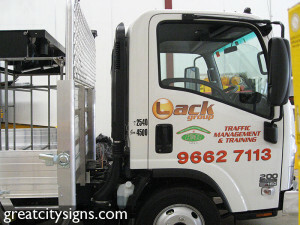 We produce reliable, accurate quotes on both costs and turnarounds. With an experienced, in-house team who have worked on a wide range of vehicle types and sizes, we know we can deliver high-quality results on each and every job. 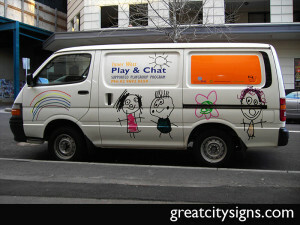 Increase your leads and sales now! 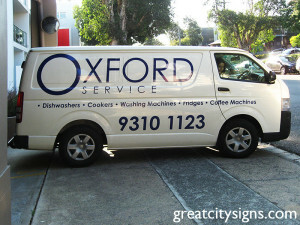 Call us today on 02 8338 9944 to discuss your vehicle signage.